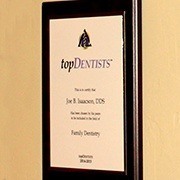 Award-winning dentist Dr. Joe Isaacson has been one of Oklahoma City's premier cosmetic and family specialists for over two decades. During that time, he has developed his practice to create a truly one-of-kind experience for people looking to transform their smiles. He strives to create a long-lasting relationship with our patients. 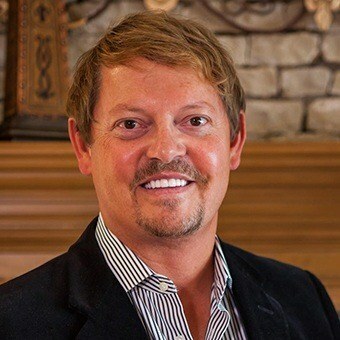 After graduating with honors from Oklahoma State University in 1988, Dr. Isaacson completed his dental degree at the University of Oklahoma College of Dentistry in 1993 and opened his Oklahoma City dental office later that same year. Since then, more than 7000 patients have come through our doors to take advantage of Dr. Isaacson's award-winning treatment. 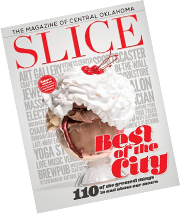 Local Business Award "Best of OKC"
"When I started my formal education, I made a commitment to excellence, and I continue that commitment today with every patient I see,” Dr. Isaacson says. 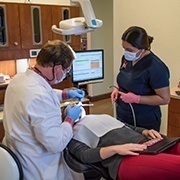 Over the years, Dr. Isaacson has remained at the forefront of technology, always looking for new ways to provide better, faster, and more painless dental care. With modern dentistry, virtually anything can be fixed or corrected in a person's teeth and smile. However, it takes the skill, artistry and experience of a true specialist, combined with the latest high-tech procedures to bring about the most dazzling results. Dr. Isaacson has been voted one of America's Top Dentists in the Field of Cosmetics and Implant Dentistry by the Consumer Research Council of America. He has also received the Best of Oklahoma City Award from the United States Commerce Association. Dr. Joe and his wife Chaz have three children named Joey, Jett and Jake. They enjoy watching the boys play baseball, traveling, and supporting our Oklahoma City Thunder.